Andrei Petrov is a founder of Inbio Ventures. 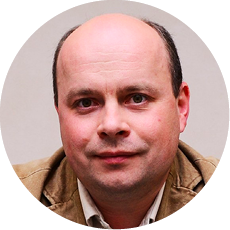 He is a Russian scientist with a vast knowledge and 11 years of experience in molecular biology, cell biology and immunology. He is Member of the Board of Argos (Durham, NC) and enGene (Montreal, Canada). He was Member of the Board of Affitech AS (Norway, Denmark) and co.don AG (Teltow, Germany). Before Inbio Ventures was founded, Andrei Petrov gained extensive experience of 7 years in biopharmaceutical industry being heavily involved in all aspects of drug discovery and drug development. He served as Chief Scientific Officer of International Biotechnology Center Generium far before the company was officially incorporated in 2011. His main responsibilities were spread from portfolio building and its comprehensive day-to-day management, including full set of related business development activities, to strategic planning of overall company’s development. These activities resulted in amazing evolving of a small start-up company to internationally recognized biopharmaceutical R&D Center with 40+ actively managed projects.